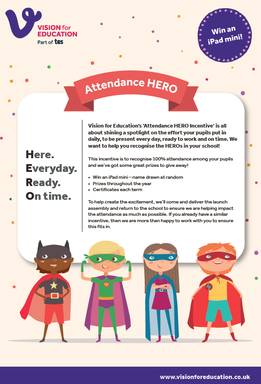 We have a new and exciting attendance initiative starting after October Half term. The children will be hearing all about it in assembly. All children achieving 100% attendance will be entered into a prize draw with other Gateshead Schools to win an iPad. This new attendance scheme is being funded and support by Vision Education.